Just two days before Sprint stockholders vote on whether to accept the $20.1 billion offer from Japan's SoftBank to buy 70% of the nation's third largest carrier, Dish Network said that it was still doing due diligence on Sprint's books. After Sprint agreed to the SoftBank deal, Dish lobbed in a $25.5 billion bid to buy the entire company. 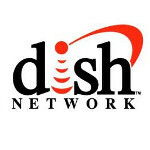 Dish says that its offer is contingent on completing its examination of Sprint's books.. Dish Network has been trying to start up a new wireless carrier and acquiring Sprint would instantly make Dish a force to be reckoned with, placing it among the top U.S. carriers. But Dish has a long road ahead of it, considering that Sprint's board is still recommending the SoftBank deal. There is speculation that Sprint will delay the vote, giving Dish more time to finish going through its books. Once the satellite television content supplier has completed its due diligence, it will decide whether or not to make a binding bid for the carrier. SoftBank already has its bid financed while Dish doesn't. In addition, the Japanese telecommunications firm has already promised to contribute $8 billion in capital to Sprint. But if the vote is held on Wednesday, Sprint stockholders might vote down the SoftBank offer. Many analysts consider the Dish deal to be superior and only one of Sprint's institutional holders has come out in favor of the bid from SoftBank. Meanwhile, John Paulson, whose hedge funds control 7.7% of Sprint's shares and is the second largest stockholder in Sprint, said in April that the Dish deal is "compelling". Omega Advisors, another hedge fund which is the ninth largest Sprint holder with more than 2% of the carrier's stock, has said that the Dish offer was in front. One money manager says that if SoftBank is going to win its prey, it will have to raise its bid. Roy Behren, who plies his trade at Westchester Capital and owns 19 million shares of Sprint, says, "It's going to be very difficult for SoftBank to garner enough shareholder support to vote the transaction through under the current agreed upon terms." The day after the Sprint stockholder vote, another vote of importance will be taken as Clearwire stockholders will get to vote on Sprint's $3.40 per share offer to buy the rest of the network wholesaler it doesn't already own. Dish is trying to steal the company away with a higher $4.40 per share bid. With Clearwire trading well above Sprint's bid at $4.27, the latter will have a hard time getting Clearwire holders to approve its offer. Dish's bid for Clearwire has the same goal as its bid for Sprint, which is to acquire as much spectrum as it can get. If i was a stock holder i'd vote yes to SoftBank. Dish is a bad deal. Agreed. Unless Google is behind Dish trying to acquire Sprint without much gov't scrutiny which has been hinted over and over again by many analysts. Same here. I'm all for Softbank over Dish. But if Google was behind Dish I'd jump all over that in a heartbeat.